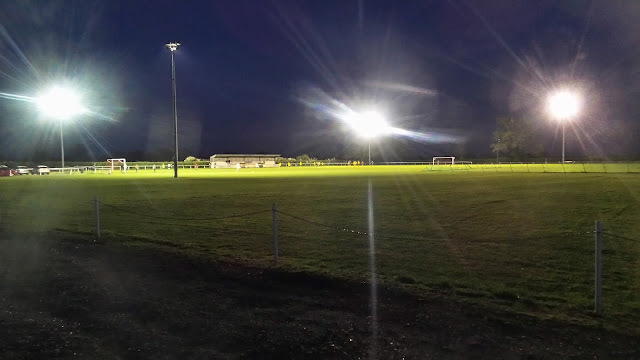 The club was formed in 1885 and have spent the vast majority of their history in local leagues such as the Huntingdonshire League and Peterborough & District. They have had a couple of spells in semi-professional football. In the first half of the fifties, they spent time in the second tier of the United Counties League, even finishing as runners-up behind British Timken Duston Reserves in 1954/55. They returned to the Peterborough & District League up until 1988 when they became founder members of the Eastern Counties League. Starting in its second tier, their fortunes gradually improved and by 1996 they had earned promotion to the Premier Division after following as runners-up to Gorleston. They'd enjoy their best-ever finish the following season when they finished 15th in what was then a step 4 league. Warboys Town were relegated back to Division 1 in 2001 after finishing second bottom above Halstead Town. The struggle continued and due to player shortages, they resigned from the league in November 2003. Taking over their reserves fixtures in the Cambridgeshire League, transferring to the Peterborough & District League in 2005. They've bounced between Division 1 (step 8) and Division 2 (step 9) ever since. This season they are enjoying their best finish in years, sitting in 3rd with games in hand and a great chance of promotion at the time of play. In the FA Cup Warboys' best run came in the 1999/00 season. Drawing Bury Town in the Preliminary Round they were forced to play their 'home' game at Bury due to their own ground being used for cricket. They drew 3-3 before a 2-2 draw in the replay saw them eventually win 4-3 on penalties. Great Yarmouth were defeated in the following round before the run was ended in the 2nd Qualifying Round with a 2-0 defeat to Oxfordshire side Witney Town. Their best run in the FA Vase came in the 1994/95 season before a 2nd Round defeat to Stotfold. 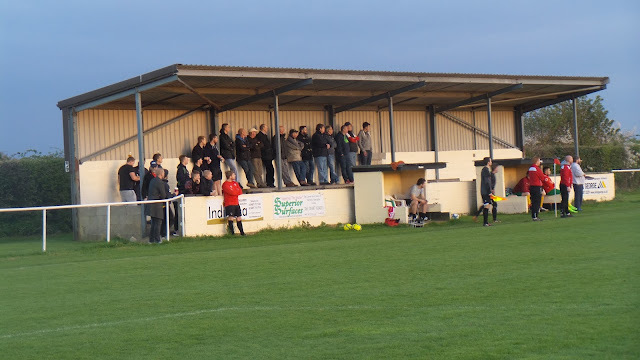 Locally, Warboys Town have won the Huntingdonshire Senior Cup on four occasions and the Peterborough Senior Cup once. As it was rapidly nearing the end of the season, I wanted to make the best of the limited time left. As well as my regular Tuesday and Saturday games and semi-regular Fridays, I was also keen to see games on other days. Milton Keynes based hopper Chris was the ideal travel companion for a Wednesday night, with regular hopping partner Anwar being at Arsenal. It was also ideal that he finished work at 5 as it meant I could possibly get a small nap in the afternoon before going to pick him up - much needed if I had travelled a fair bit on Tuesday as I had to be up at 4 am for work. I sent him a list of possibilities for the coming week, and luckily our first choice was both the same - Warboys Town. 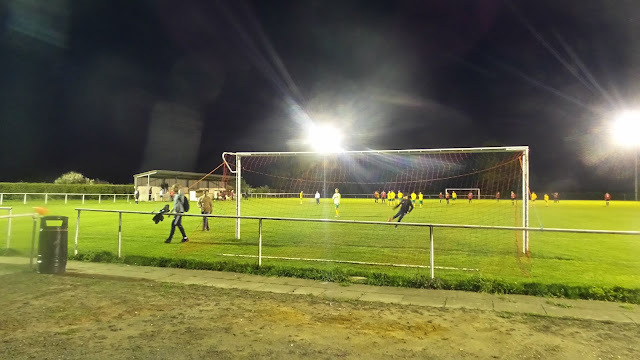 It was by far the best ground on offer, was fairly local and Chris has spotted a decent pub in a nearby village that did a real cider I had not had before. I confirmed with both the maker and the pub that they did indeed stock it, and both confirmed it was the case. It was a reasonable day at work on the day of the game and I was finished by 12.15. I went home and tried to grab some sleep, getting around 90 minutes in all after taking a while to drop off, then being woken up by a call about my PC repair. I decided to get up anyway and freshen up by having a bath. It gave me time to look through the Football Traveller and see what possibilities there were for next week. I got my things together and left at 4. With no school traffic, the roads were a lot clearer but some annoying roadworks on the back route that I use meant that I was delayed by 15 minutes. I got to Chris just after 5 and didn't have to wait long until he finished work. We got on our way and as our intended pub didn't open until 6.30, we decided to go in search of dinner. That proved to be a bit of a chore with one Chinese being closed for refurbishment and another having been converted into a pub. Eventually, we found somewhere called 'Lee Wong' in Huntingdon. There I had a dish called 'Happy Family' which was mixed meat in a garlic and oyster sauce with boiled rice. It was fairly nice and a lot healthier than most options. From there it was to the pub, The Crown Inn, in nearby Broughton. There, I had a pint of Side-R Elderflower cider which was nice and refreshing, even though I'm not usually a fan of elderflower. We left the pub around 7.10 and made the trip to the ground around 10 minutes away. With it being 7.30 kick-off, we didn't have long to wait and made our way to the most popular side of the ground. There was no entry fee, nor programme, but it was an enjoyable game. Warboys were dominant early on, but it was the visitors who took the lead on 26 minutes when William Lee put them ahead from the half-volley from around 6 yards out. 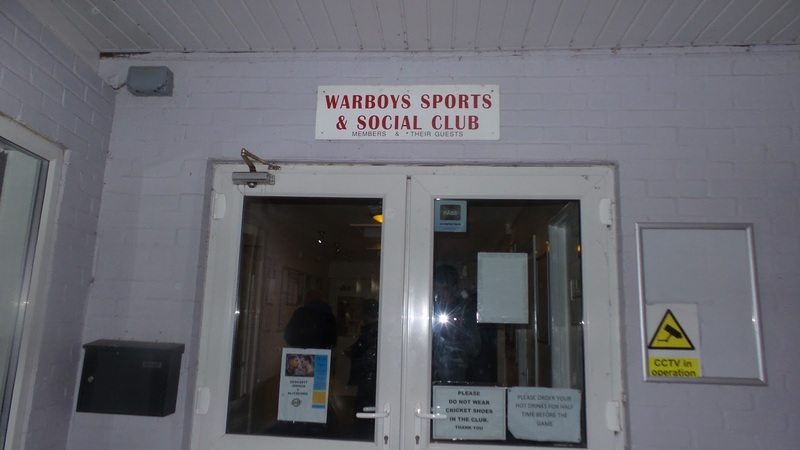 Warboys equalised on the stroke of half-time when a good passing move was ended with a dipping shot by Matthew Brown. 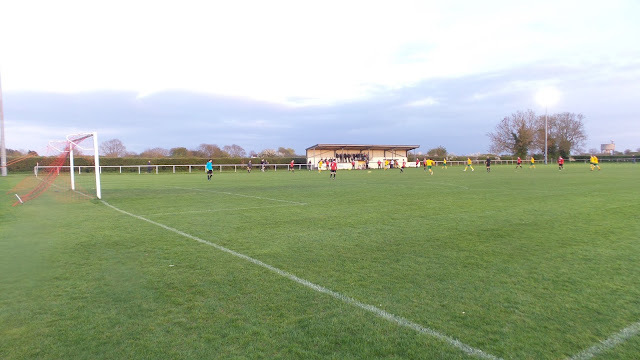 The second half started in the same manner with the hosts well on top and they took the lead on 65 minutes when Adam Hyde scored from close range to spark jubilant celebrations for his side. Three minutes later, Brown looked to have made the game safe when he poked home from close range. Oakham immediately made the game interesting when Ewan Crawford bundled home a looping cross. 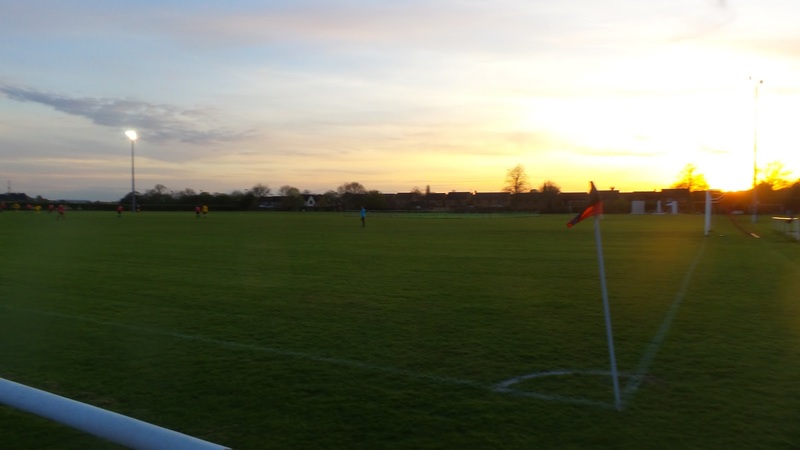 Warboys had a legitimate-looking goal ruled out for offside and also wasted several chances during the evening. The visitors had their chances too and they equalised in injury time when Connor Hudson's low curling shot found the bottom corner. It had been a decent game, and on reflection, the result was a fair one with the hosts looking disappointing considering they were 3rd in the league and had come into the game on the back of a 12-0 win against Netherton United Reserves. We left the ground at 9.15 and tuned into Radio 5 with over half an hour of some Premiership games still to play. I dropped Chris off at 10.15 and listed to the Two Mikes podcast on the way home, getting in at 11. I got to sleep just after midnight. I was pretty tired the next morning, and with lots of blogging to do, I decided to not bother with the planned visit to Haringey & Waltham v Sporting Bengal United in the evening. 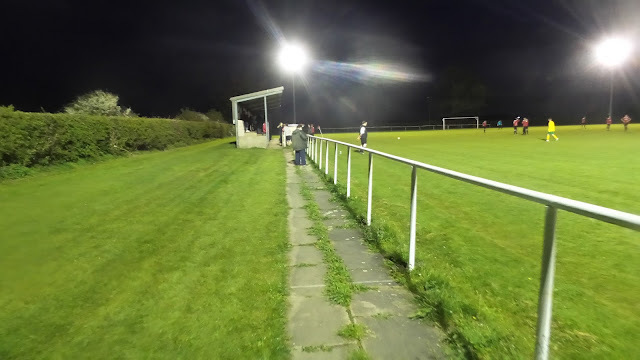 Instead, my next game will be a revisit to Stamford Bridge for Chelsea v Sunderland on Friday, with myself and Chris already planning a game for next Wednesday, most likely Alvis Sporting Club v Sutton United. 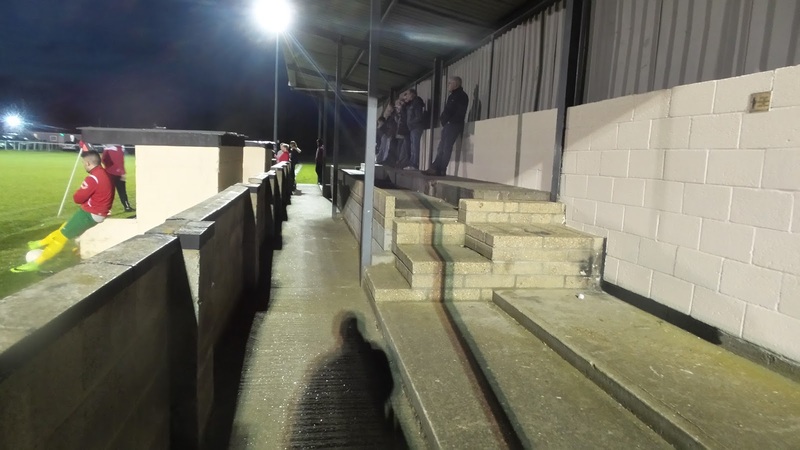 FORGE WAY is a decent venue, having seen football at step 5 in fairly recent times. There is just the one stand, and although this originally had seats, it is now all standing, though with a decent capacity of a few hundred. Around half of the pitch is railed with hard standing, with the other half devoted to cricket. Unusually for this level, there are floodlights, with one in each corner. The lack of enclosure may inhibit them returning to the Eastern Counties, with regulations getting tougher in recent times. 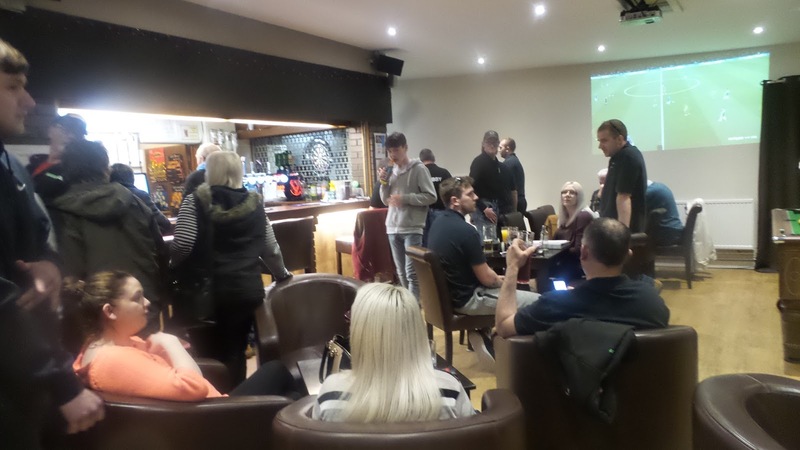 There's a large social club at the ground, with Timothy Taylor real ale and Strongbow Dark Fruits cider amongst others. The small town of Warboys is nearby and this has a number of options including a combined chip shop and Chinese takeaway.